The Pololu Baby Orangutan B-328 Robot Controller is perfect for building miniature robots. 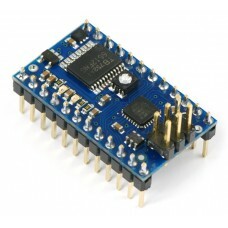 It is a very compact little board yet it provides a complete robot controller solution. 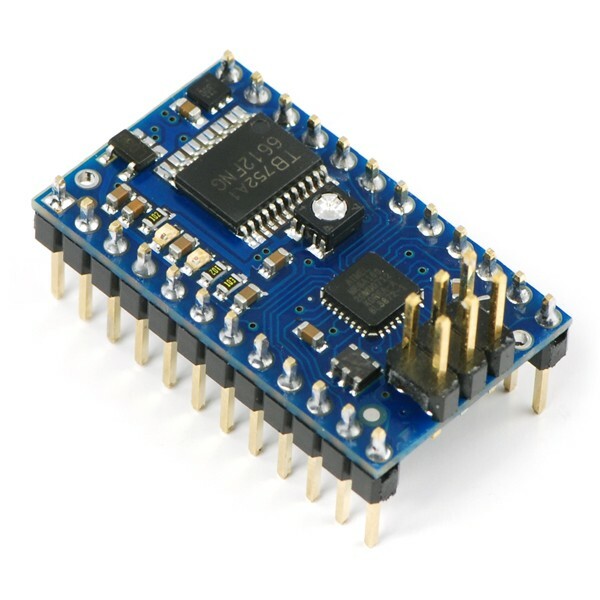 It uses the popular ATmega328P AVR microcontroller from Atmel that has 32 KB of flash program memory and 2 KB of RAM. 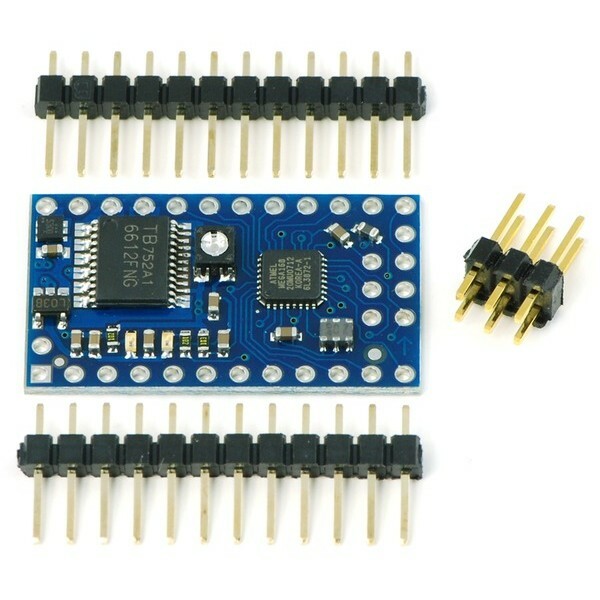 This tiny 24 pin form factor board even includes a dual motor driver for direct connection to two DC robot motors. 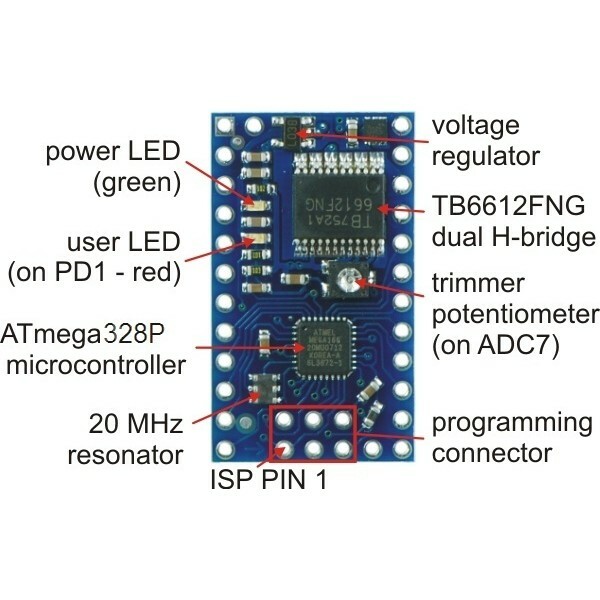 You can connect your battery, sensors, and motors directly to this small module to make a miniature robot, or you can use the Baby Orangutan as an auxiliary controller in larger robots. 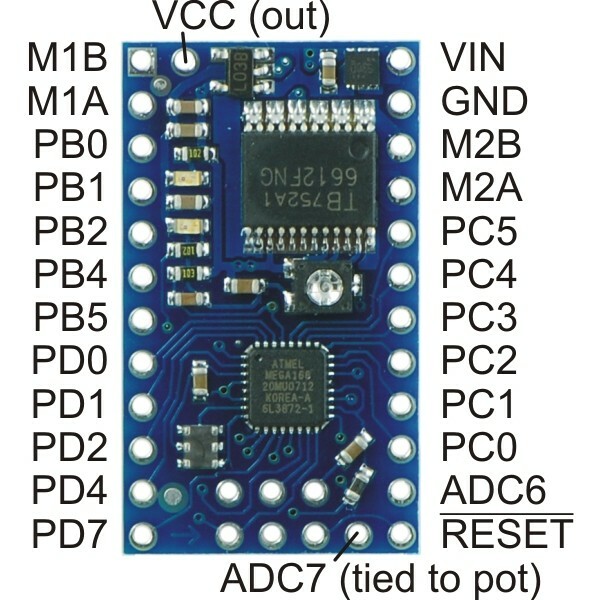 Note that an AVR ISP programmer such as the Pololu USB AVR Programmer is required for programming and is sold separately. The board is assembled but the pin headers require soldering.